The qualification standards to receive fast cash advance loans are simple enough that online applications are simple transactions. With Decision Logic bank verification to check out bank accounts, the process has simplified even more. It used to be that an applicant would have to send a copy of their latest bank statement through email or by fax. Many customers did not have access to fax machines or scanners and had difficulty getting the one required document into the direct lender for verification. If regular mail was used to deliver the paperwork, the loan process wasn’t so fast. 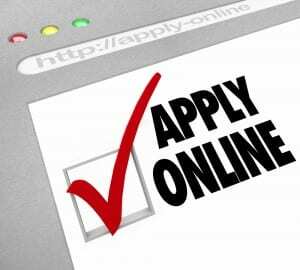 When online banking came around it became easier for applicants to get their money much quicker. It was still difficult for some potential customers but with the direction of good customer service, there glitches were usually worked out. Decision Logic uses online banking to provide paperless and secure “viewing only” of the latest bank transactions. Processing cash advance loan applications are less complicated. Are your finances less complicated? Have you been changing with the ties or are you still carrying around the debt weight of previous years? People who have old debt will often land on the online applications page for quick money access since their debt history keeps them from using any type of money option that requires credit score information for approval. If you were to simplify your money situation, do you think you would no longer need the services of the online cash advance loan lender? Cash advance loans are less used by those with simple financial needs. If you can get together a monthly spending plan and use a budget to implement it, you could be on your way to simplify money problems. The more debt you carry with you month to month, the less income you will have to enjoy for yourself. Credit card companies make their customers feel good about asking for small payments, but since most of that payment goes towards interest, your principal payment is very small. You can feel good about on-time affordable payments but if you realized how much of your income is lining the creditor’s pockets you would be shocked. Look on your statement and see how much you have paid in interest so far this year then think about what you could have done with the money yourself if your debt wasn’t there. When you use a cash advance online loan the high interest is often the most frustrating part of the loan. These direct lenders are not going to sugar coat the fees. If you use third party money you will pay. Because it’s a short-term loan, pay it off quickly. There isn’t much complication to that kind of finance equation. The longer you extend the loan the more it will cost. This rings true for all third party debt. If you have avoided using a short-term loan, you may find that their easy online cash advance application and Decision Logic verification system will simplify your finances during emergency measures. Keep your money on your mind in order to keep unnecessary complications out of your budget. This entry was posted in Cash Advance Loans and tagged cash advance loan applications, cash advance loans, fast cash advance loans, online cash advance application, online cash advance loan lender. Bookmark the permalink.